While Facebook offers a great new way to connect online with your offline acquaintances, it is also a hotspot for potential hackers' assaults. This is good enough reason for you to use Facebook with prudence at all times. This article emphasizes the importance of properly enabling of the FB privacy settings, as well as the recommended account settings and posts configurations that will help keep your FB account, and status updates secure at all times. 1. Ensure you've got your Facebook profile set up to rid of unwanted privacy violations. 2. Careful when creating posts through your FB account. Facebook offers easy-to-use sharing and privacy options for all its users to customize each of their posts. 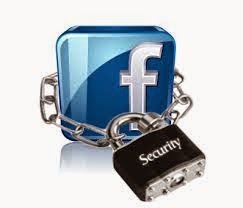 Here's how to ensure your FB posts are securely shared. * Choose or designate who among your FB friends gets to see your posts. * Click the drop-down button to the left side of the Post button. * You'll see the available options on how you would like to share your post. Sharing options would include Public, which allows everyone to view/read your posts. To let only people you've added as friends read or view your posts, an option Friends is provided. You can also share posts with different lists of friends, either manually created by yourself or by Facebook automatically. 1. Create a list of friends who will get to see and read your posts. After composing an update status message, click on the drop-down arrow labeled Public, right beside the Post button. You'll see a drop-down list of options on who can view or read the post or status update you are about to share. Typically, Facebook uses Public as a default option for all your posts. Change it by clicking one from other "more secure" options like Friends except Acquaintances, Only Me o Customr. The Custom option will let you specify certain people from your FB friends list can or cannot view/read your post. Hint: In order to easily configure the aforesaid post settings, make sure you have properly tagged your friends beforehand. This means you have to segregate your friends from acquaintances, families, work employer, co-workers, and so on. * Click on the Friends header on the left side of your News Feed/Home page. * Choose the name of a list. * Click on the Manage List button. * Select the Edit List option for you to add or remove friend from the existing list. * You will then be prompted with the Edit window, where you can add or remove friends from your list. Once you're done creating a privacy-friendly list, be sure to share your personal posts/update status only with that list you have, instead of posting them to Public or Friends. 1. In order to view this option, click the menu (drop-down) arrow from the Facebook home page. 2. Select Settings from the drop-down box. 3. A list of different Categories will show on the left side of the General Accounts settings screen. Select Privacy. 4. You'll see the Who can see my stuff section first in the Privacy Settings and Tools window. 5. Turn on or enable the Limit the audience for old posts on your timeline option to change all of your previous Public posts to Friends-only. There's another option in the same Privacy Settings and Tools menu that says, Review all your posts and things you're tagged in. Selecting this option will lead you to the Activity Log (also accessible through the home page Settings menu). 1. Click on the pencil icon. 2. Select Delete to erase certain posts you don't want to show in your Timeline and take your name off of your friend's post. The Activity Log will also let you modify the audience of your own previous posts, manually. The concept of using Facebook lies on the basic principle that the site will ask you to share a lot of information in order to link/connect you to your friends. The site may badger you for extra information you are actually not obliged to provide most of it. Your name, email address, birthday and gender, are supposed to be the only data you'll provide to have your FB account set up and go live. Remember that all data you entered to your account are considered public information by the network itself, thus, these will be shared to or accessible by anyone who uses or has Facebook account.